Now in their 18th year, Banking Technology Awards recognise and reward excellence and innovation in the use of IT in financial services worldwide. Who are they? Visit Banking Technology Awards website to find out. The winners will be selected by our expert panel of judges, which will be announced at a gala event on 13 December in London. For more information regarding the event, attendance and sponsorship opportunities, please get in touch with Judith McInerney on judith.mcinerney@knect365.com, call +44 (0) 20 3377 3506 or visit the Awards website. 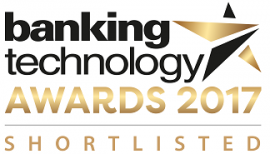 Banking Technology Awards: how to write a winning entry? Just in case you need a reason: why participate in Banking Technology Awards?